In view of climate change and the increasing shortage of natural resources, there is a growing focus on more efficient use of energy and materials – for example, with the econ system. The monitoring of energy utilisation and energy-efficient optimisation of production are becoming more and more important. Many companies are now addressing this issue. The production-based ODA system is the solution for energy management in the plastics and metal processing industry. Energy management of manufacturing resources allows the control and monitoring of energy distribution in production facilities. These are important aspects for the calculation of energy costs. The ODA system enables production planners to avoid energy peaks and bottlenecks in energy distribution – and energy peaks are expensive. The energy supplier has to provide the maximum current value at all times, even though an energy peak may only be reached occasionally. This has a negative impact on electricity costs. With the help of forward-looking production planning, it is, for example, possible to avoid the simultaneous start-up of production machines. The ODA system offers state-of-the-art production and manufacturing technology and contributes significantly to achieving more efficient use of resources, in particular energy and material. The ODA system calculates and analyses power consumption and evaluates it based on job, shift, day, product, workshop, machine and many other factors. Tables, bar graphs and diagrams provide an overview. The comprehensive range of planning and evaluation options offered by the ODA components reduces the effort involved in evaluation and thus leads to more efficient production planning. Production data are provided in the form of graphic and tabular reports for evaluation of power consumption. Just a few mouse-clicks, and you have job- and machine-based energy consumption values. These form the basis for effective decision-making in everyday production. econ solutions for consumption measurement and ProSeS Operating Data Acquisition contribute significantly to achieving energy-efficient and sustainable production. 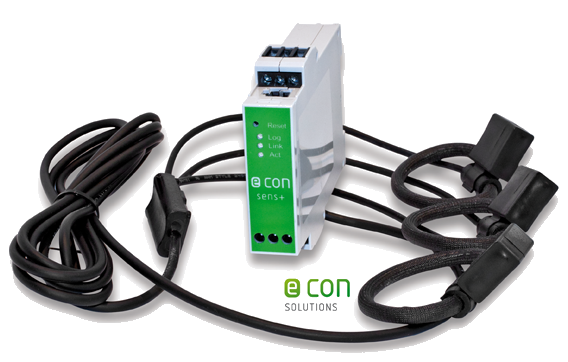 econ solutions supplies the entire hardware for the measurement of your power consumption. The econ measurement devices and the ODA system are linked via an interface to form one unit. 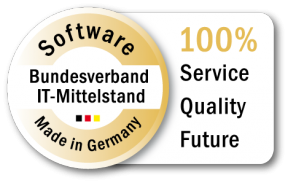 Information for the measurement of energy consumption along the entire production chain is accessible. This offers enormous potential for boosting your competitiveness.